Year 13 James Rogers made his debut for the Middlesex 2nd XI this month, after training with the Elite Player Group and playing two matches for the Middlesex U19s. “I had a nervous start”, James says of his performance for the 2nd XI against Gloucestershire. “I bowled 11 overs for 49 and a feel I learned a lot – especially from the experienced players in the side. These games are all about learning to make myself the best cricketer I can be in the future”. James has played for Berkshire in his age group since the U11s; he also plays for the Datchet Cricket Club 1st XI, and has played for Blue Coat since Year 7 – including for the 1st XI since Year 10. He is a fast bowler, but feels he is a “late developer” and will be better in the years ahead. James bats at number 3 for his school – but “lower down the order” for his other teams. James trains with Middlesex for three hours on Tuesdays and Thursdays and he plays matches for his various teams at the weekends – including for Blue Coat whenever he can. Having coaching at Blue Coat from Berkshire’s Director of Youth Cricket, Mark Allum, has helped. “He’s helped a lot throughout my career, especially with my fast bowling”, James says, “…and it helps that Blue Coat is the outdoor centre for Berkshire Youth Cricket”. 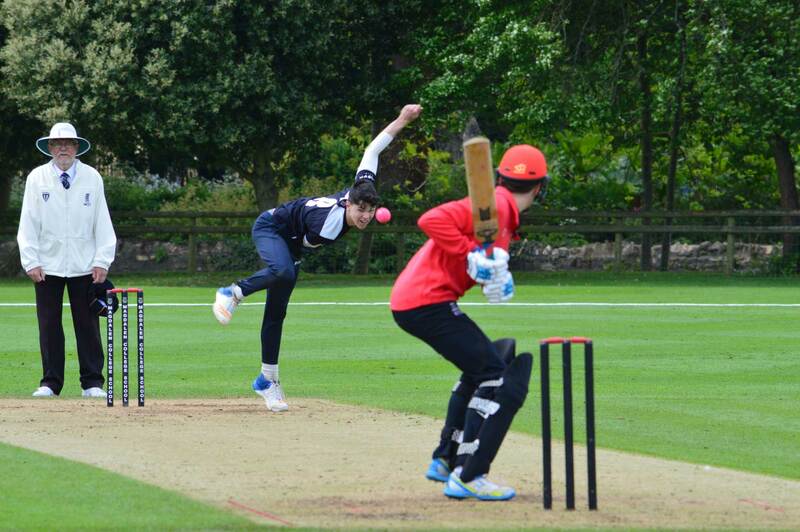 Blue Coat’s stellar cricket programme provided James with the opportunity to obtain what he considers to be his best wicket, when he bowled out Zimbabwe international Herbert Chikomba, who was playing for the MCC against Blue Coat, back in 2016. James is the third Rogers brother to attend Blue Coat, where he has been Deputy Head Boy for the last year. He is currently studying for his A Levels and hopes to study Sport and Exercise Science at Leeds University – but, before that, will take a gap year to focus on his cricket. He will spend three months participating in a Gap Year programme at the prestigious Darren Lehmann Cricket Academy in Australia, and the remainder of the time will involve training and playing with Middlesex. “My aim is to become a professional”, says James. “I progressed a lot over the winter and I hope to keep progressing over the summer”.